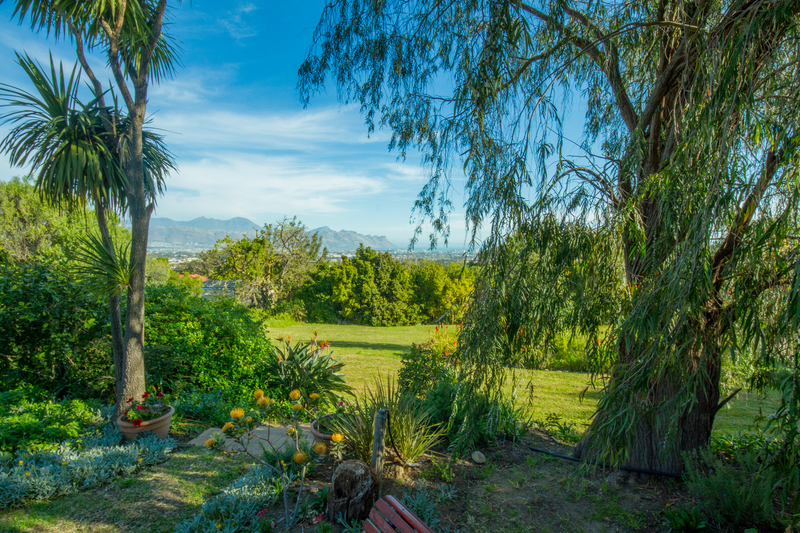 The Beautiful views in and around Villa Vista. 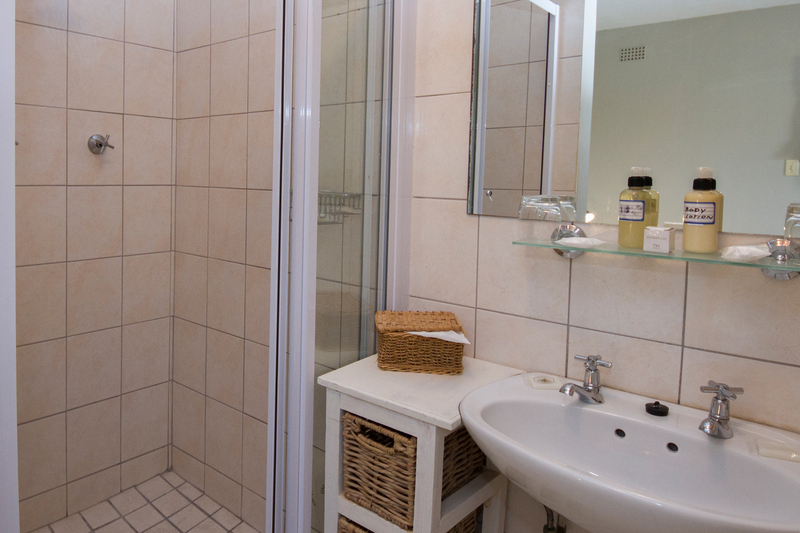 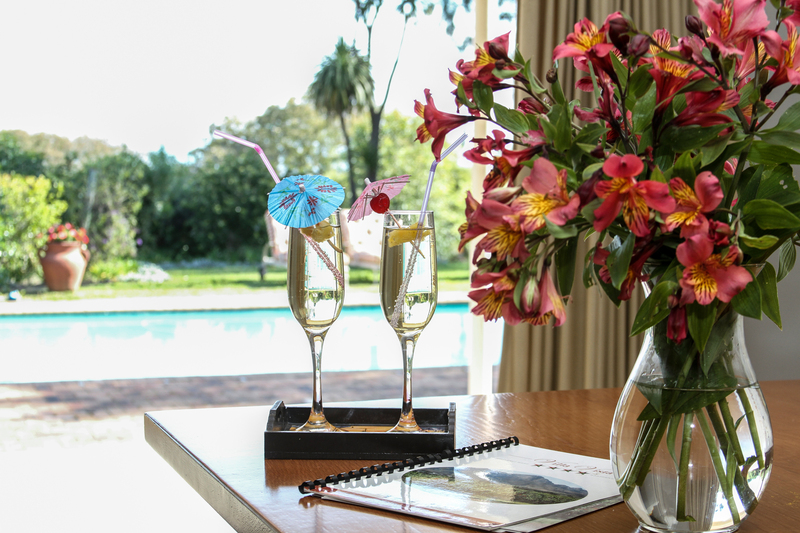 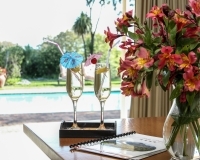 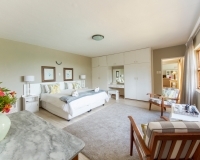 Self Catering Accommodation Somerset West that features luxury apartments in the heart of the winelands with views, beaches and in close proximity to the finest golf courses. 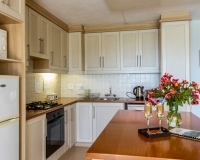 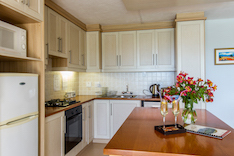 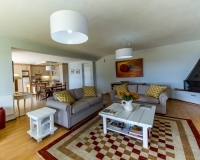 An ideal breakaway for those that love style, comfort, tranquillity, wine and golf. 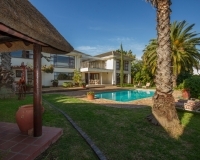 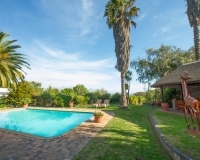 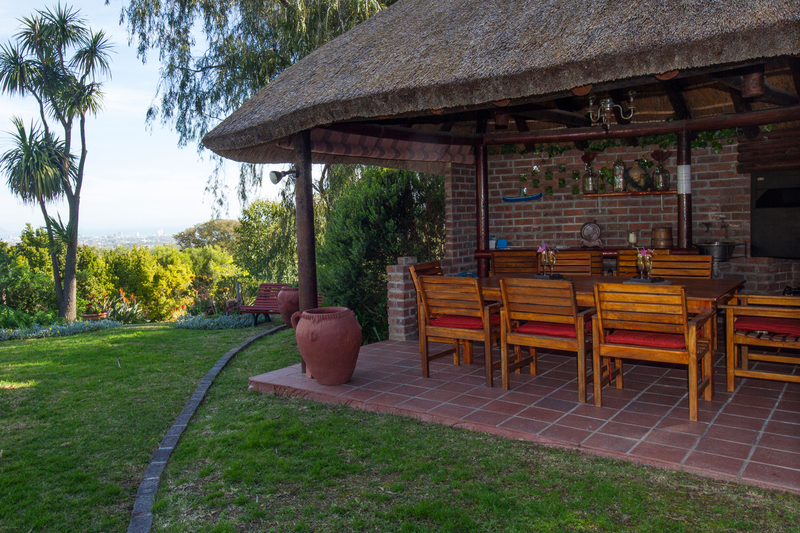 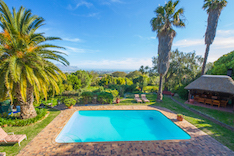 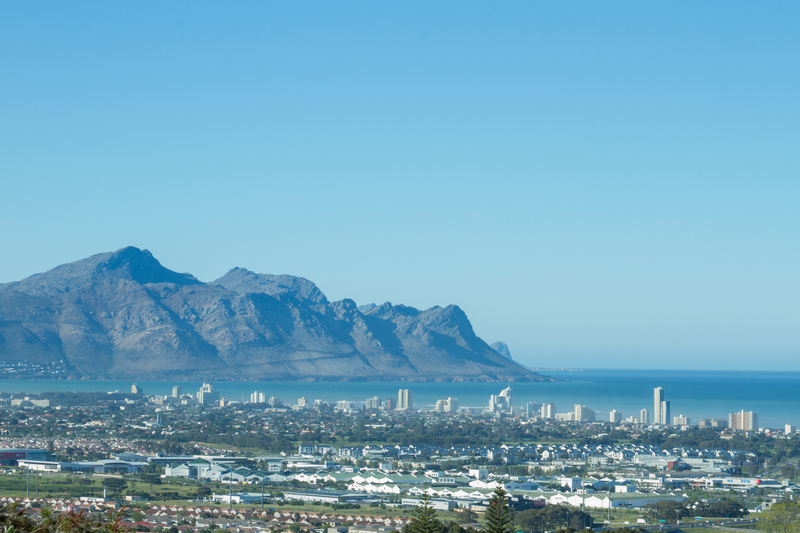 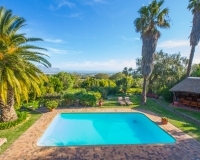 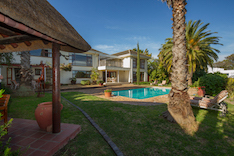 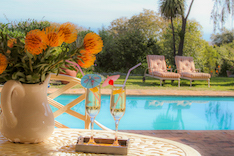 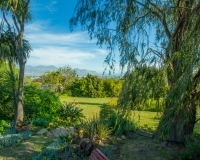 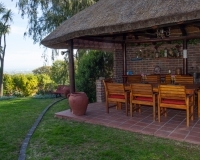 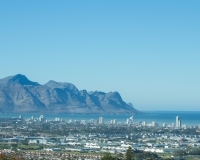 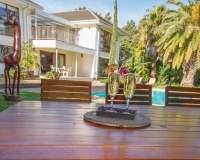 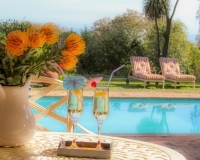 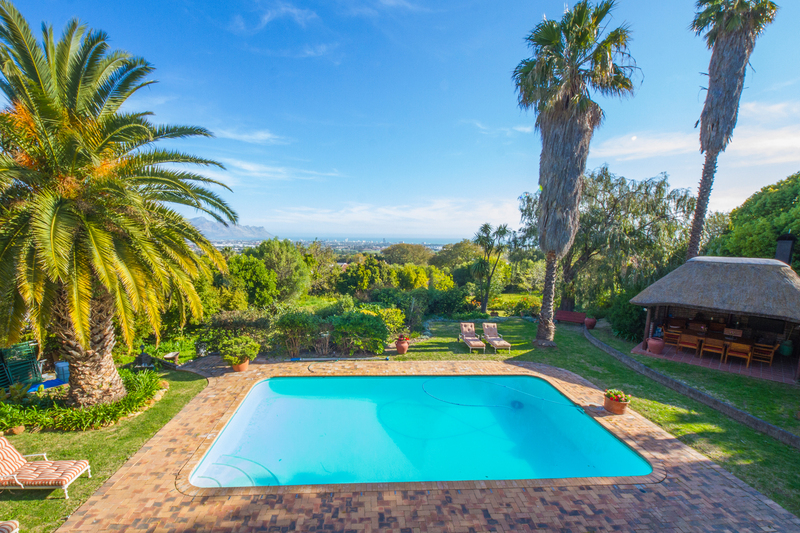 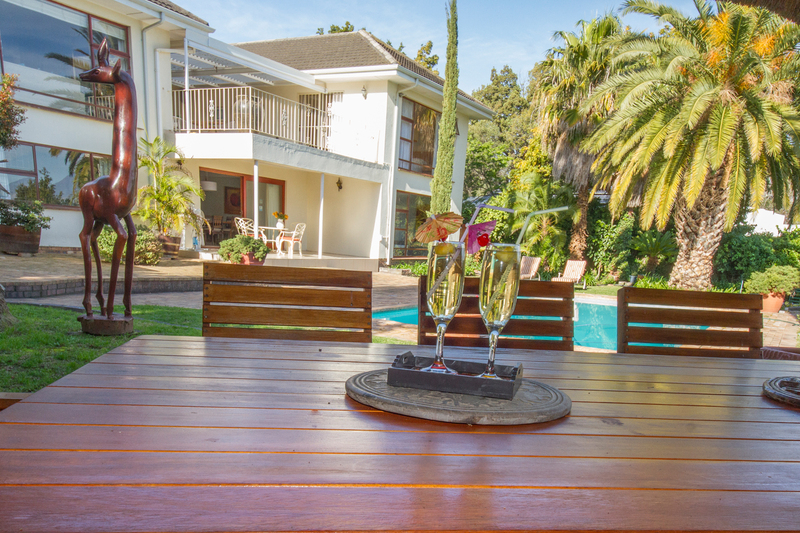 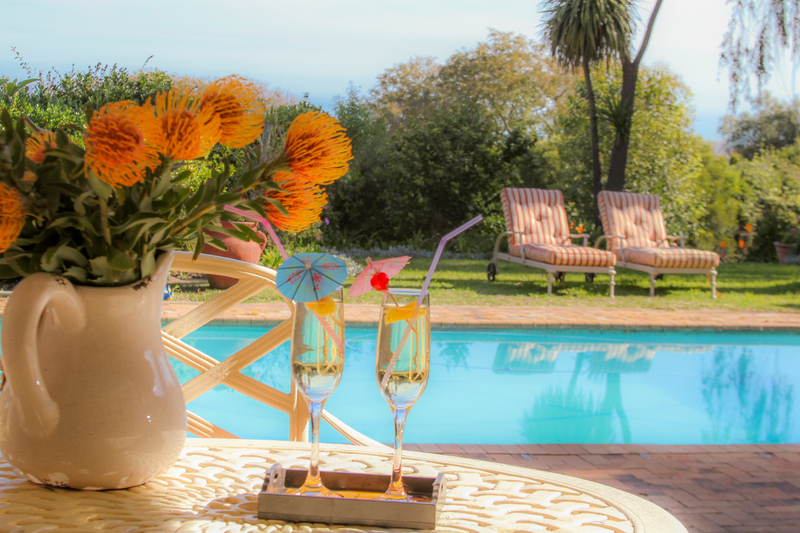 Villa vista is special for her stunning views over False Bay from a magnificent garden filled with birdsong – Far from the madding crowd and yet close to all the happenings – wine route, main attractions, golf courses, whale watching, restaurants, beaches and easy access to all the main routes. 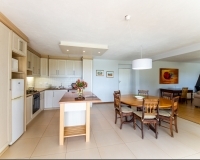 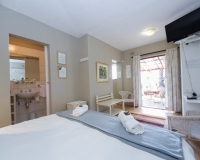 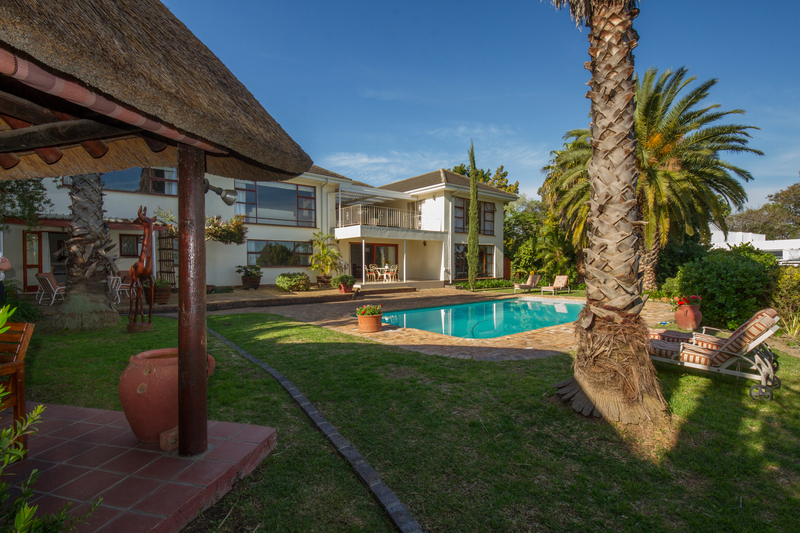 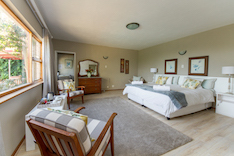 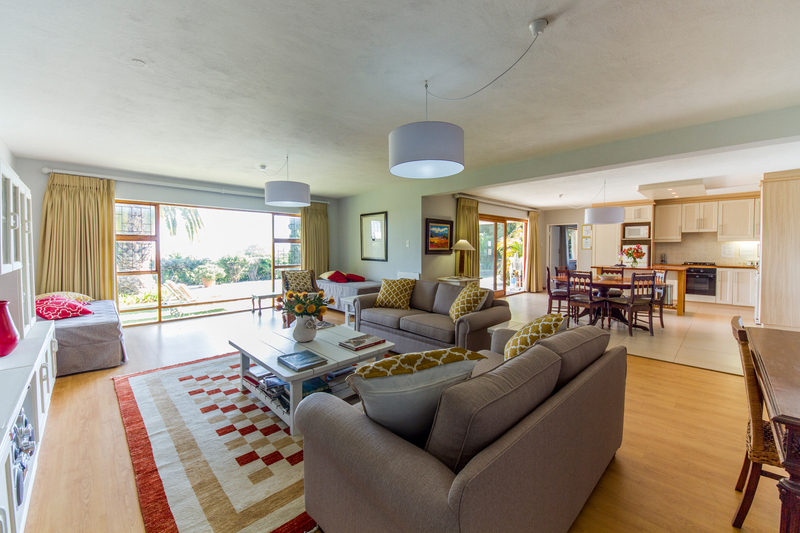 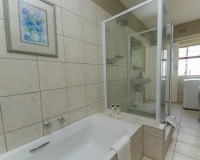 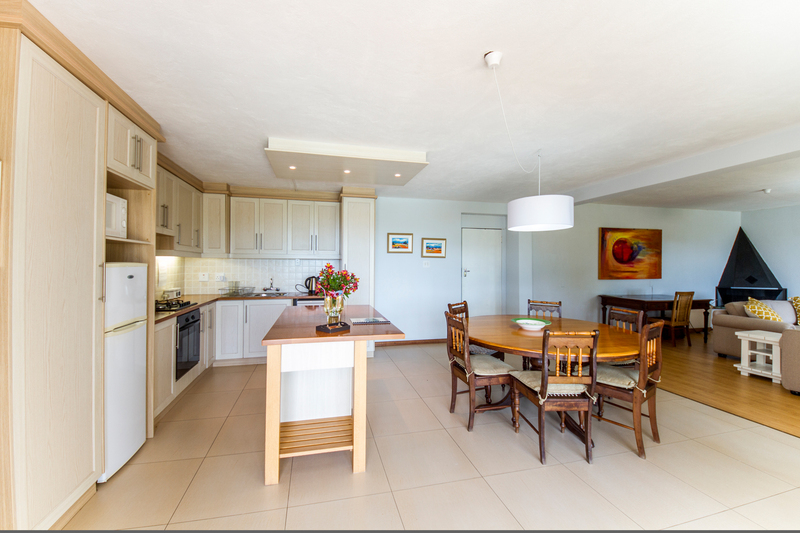 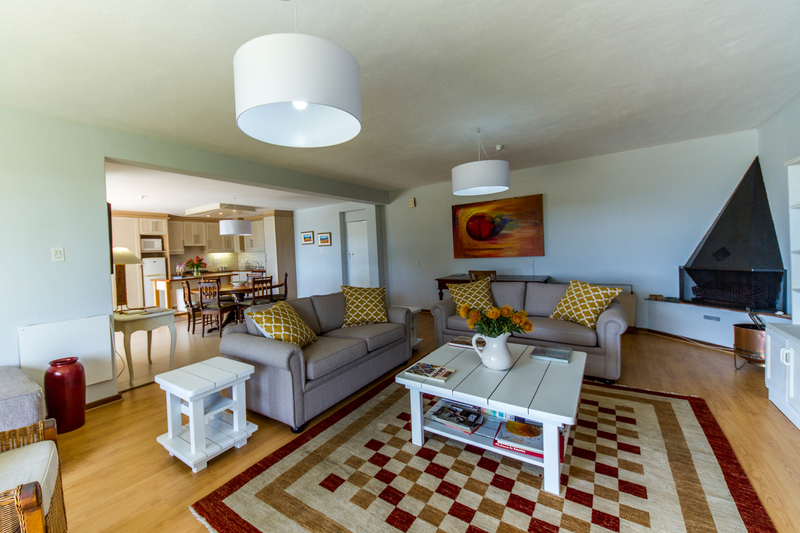 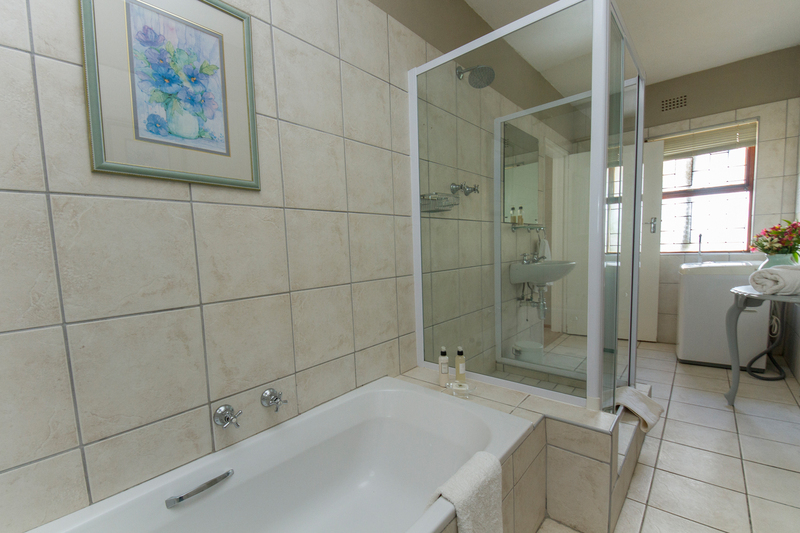 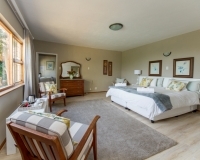 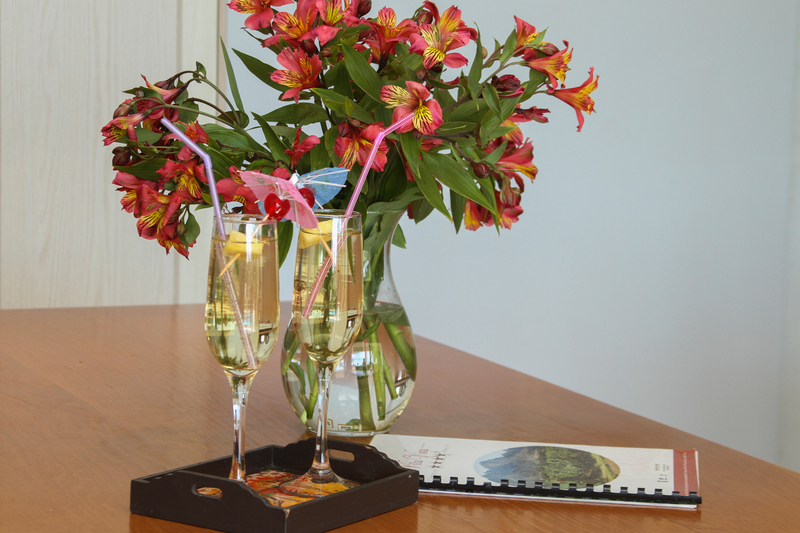 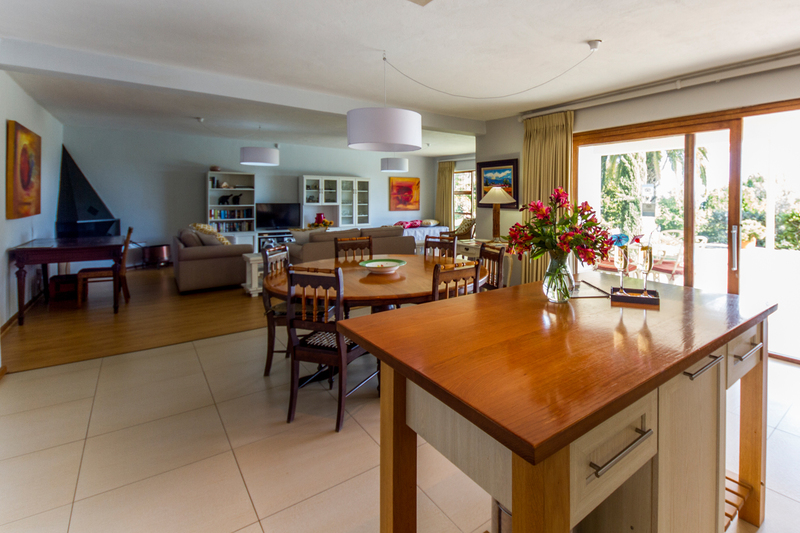 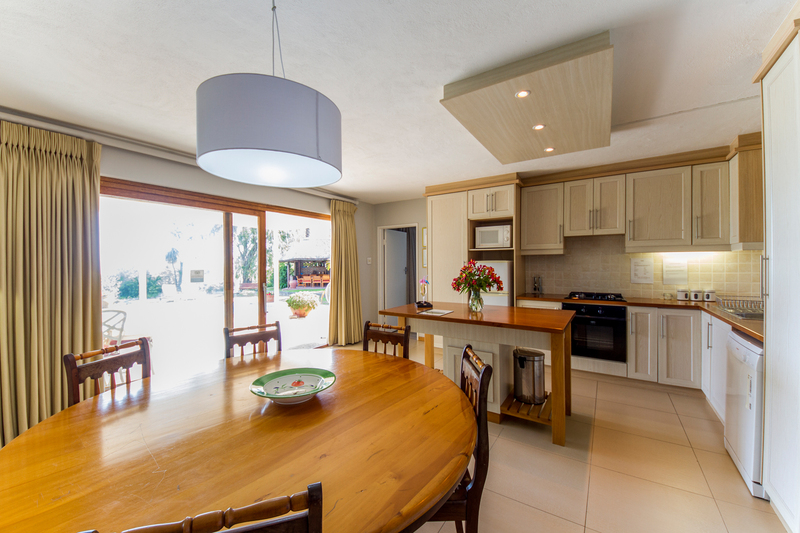 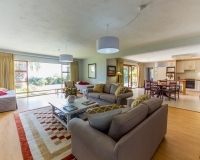 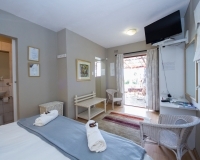 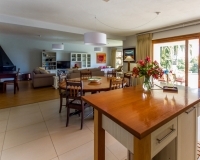 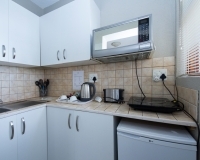 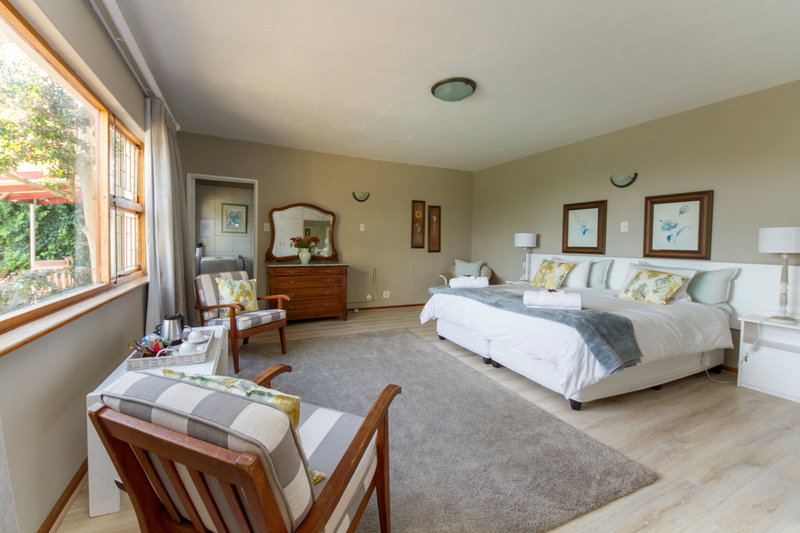 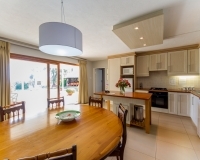 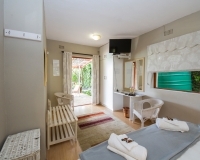 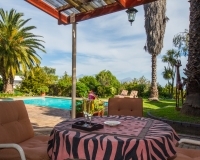 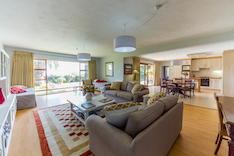 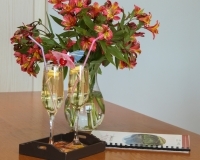 This is a holiday destination which is family friendly and comprises of two tastefully furnished self catering apartments with beautiful views of False Bay from the bedrooms, while guests also have peace of mind with secure parking, behind security gates and private entrances to their apartments. The surroundings are tranquil and privacy is enjoyed in a large garden around a swimming pool on the doorstep of both units. 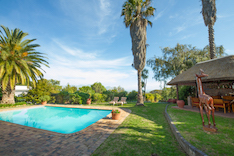 Safe and secure up-market location. Apartment 1 boasts with a spacious lounge and dining area with a new modern fully equipped open-plan kitchen with views of the swimming pool, garden and sea at a distance. 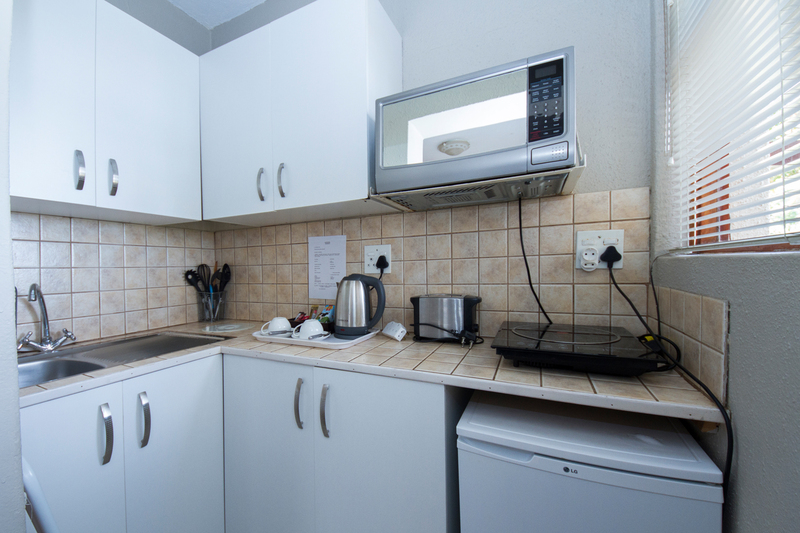 It also has its own DSTV with all the channels (brand new flat screen TV). 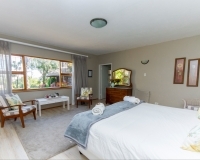 The large family bedroom has two x length twin beds which can be changed into a king-bed on request. 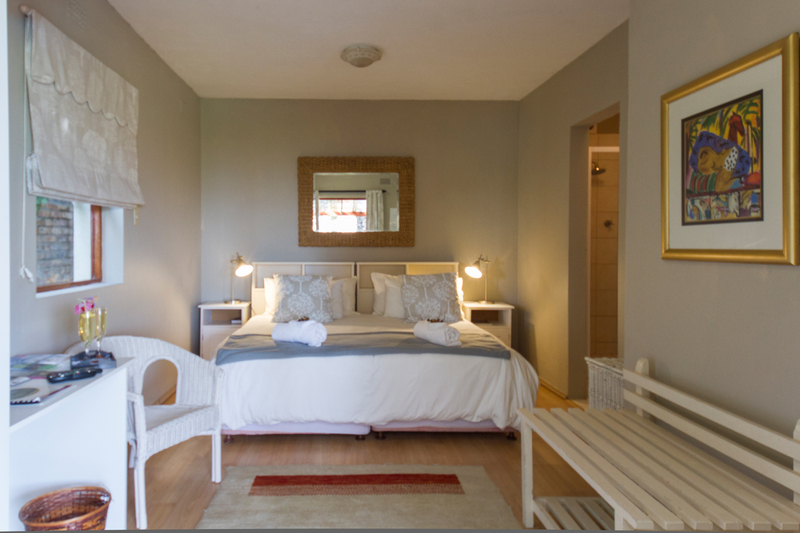 Good quality & comfortable beds with pure percale linen. 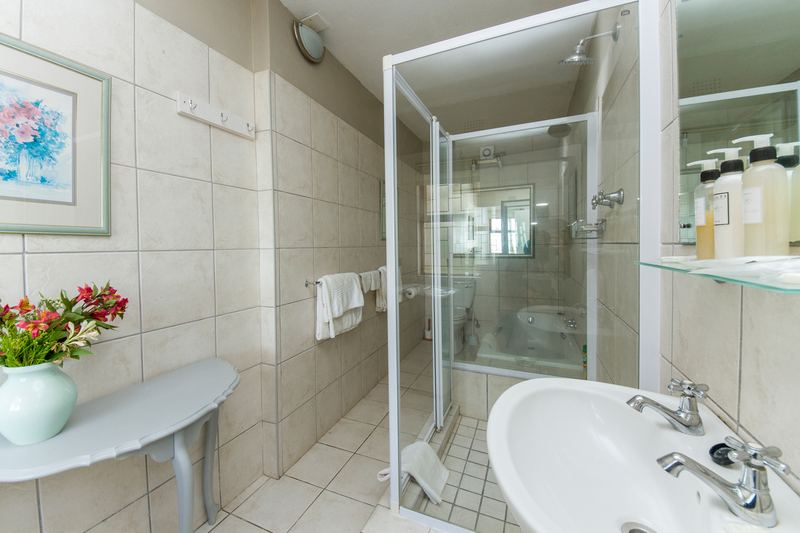 It has a full bathroom with its own washing machine. 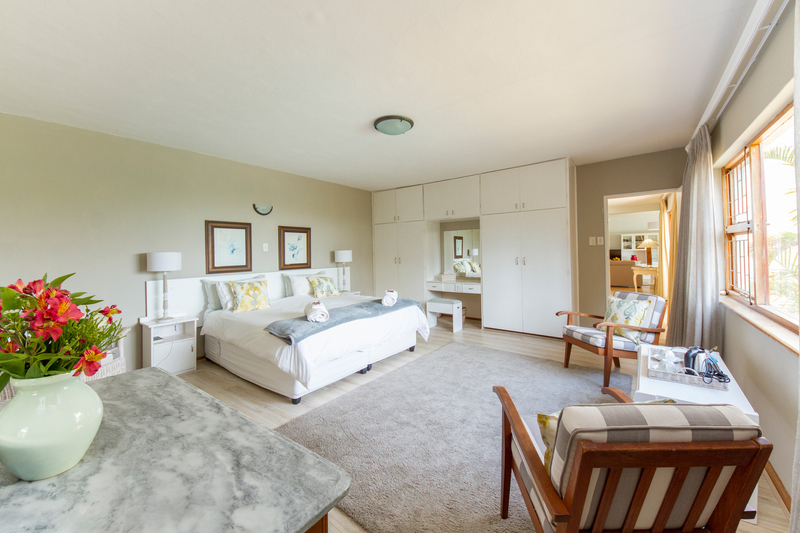 The unit is suitable for a family of 4 because of two extra twin beds on one side of the spacious lounge. 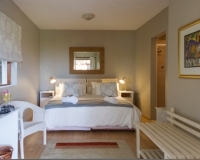 It also has a fireplace for the cold winter months and electric under blankets. 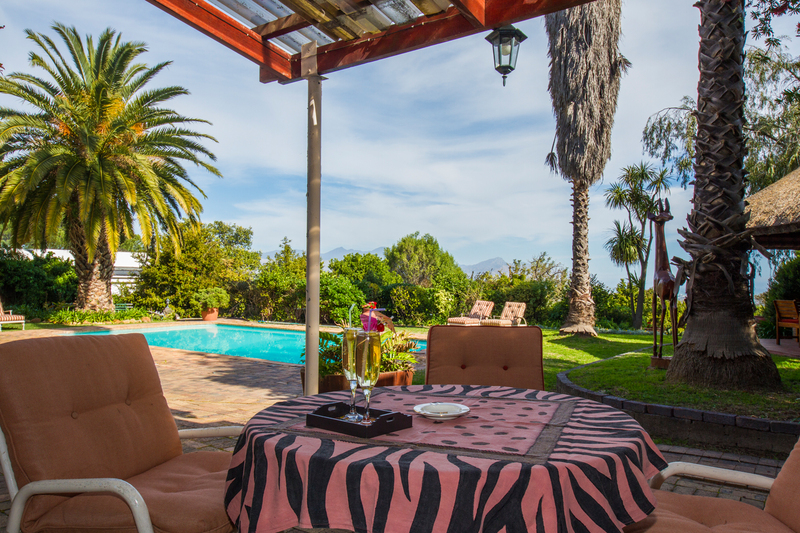 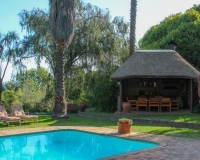 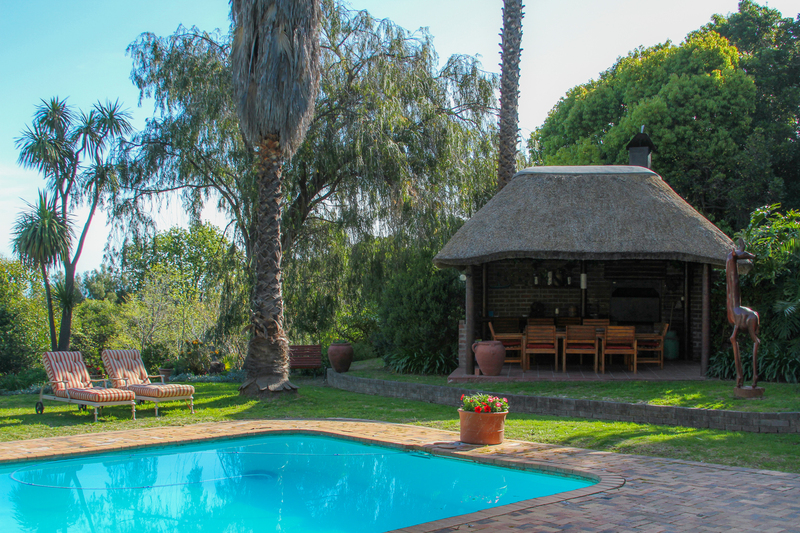 It has a patio that leads onto the swimming pool and lapa with barbecue facilities. 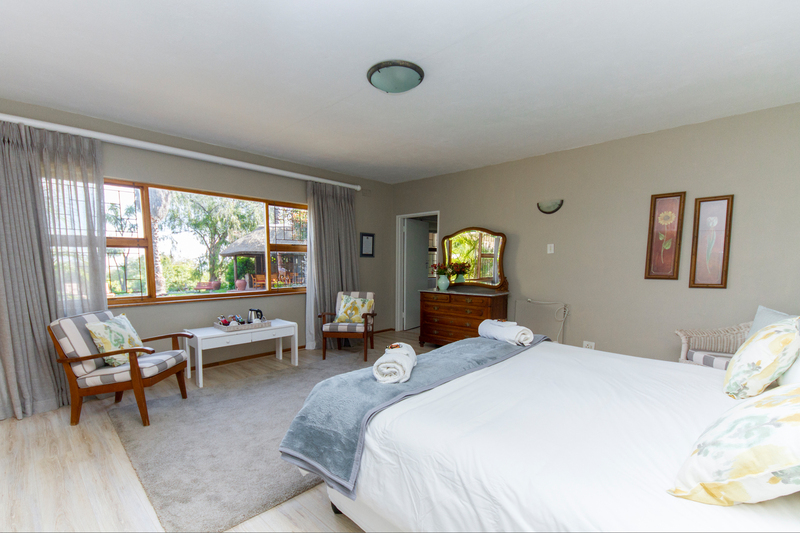 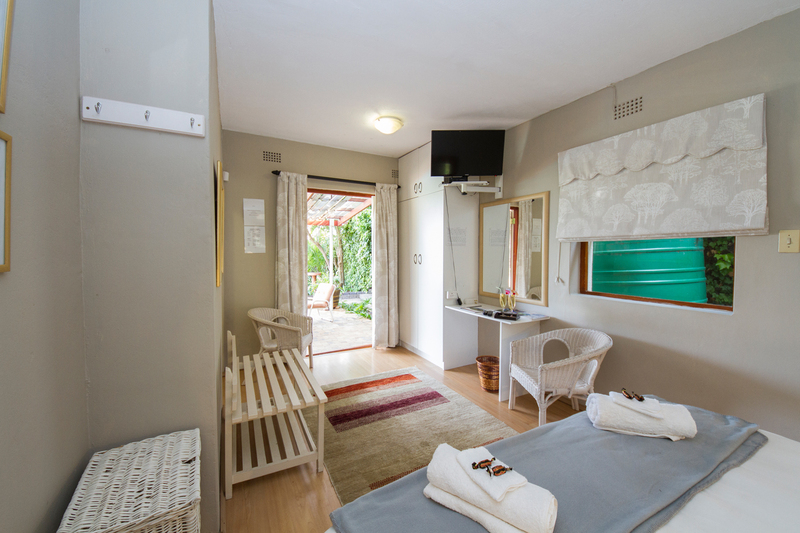 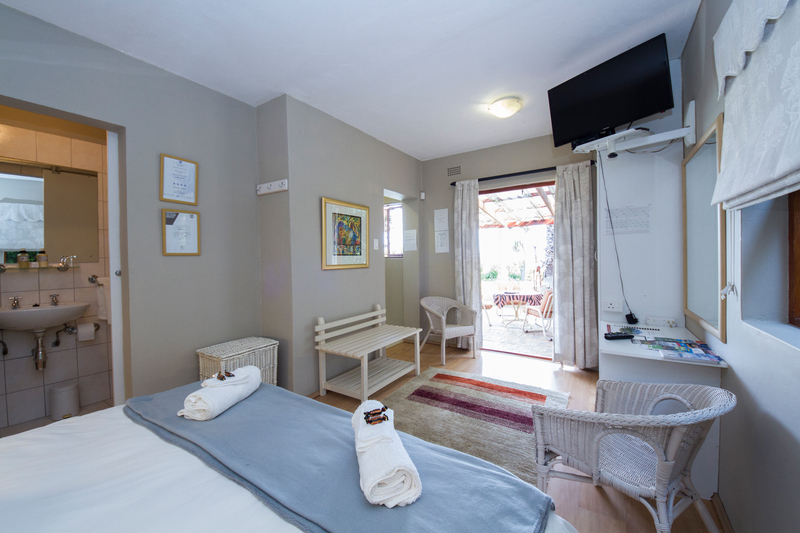 Apartment 2 is a smaller unit and comprises of a double bedroom with two twin beds or a king-size bed with electric under blankets for cold winter months, small sitting area with TV, M-Net and shared DSTV, en suite bathroom as well as fully equipped kitchenette. 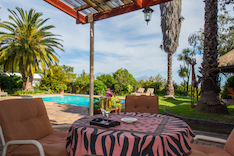 This also has a patio leading onto swimming pool and gazebo with barbecue facilities. 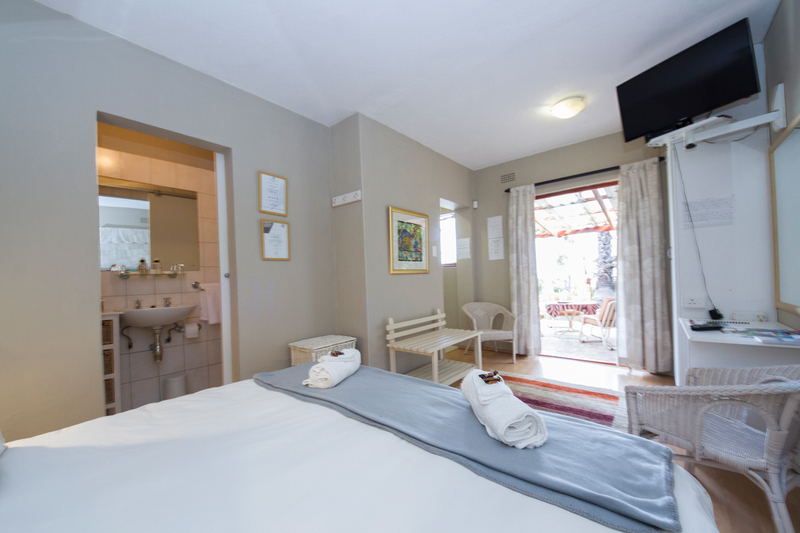 Good quality beds with pure cotton percale sheets. 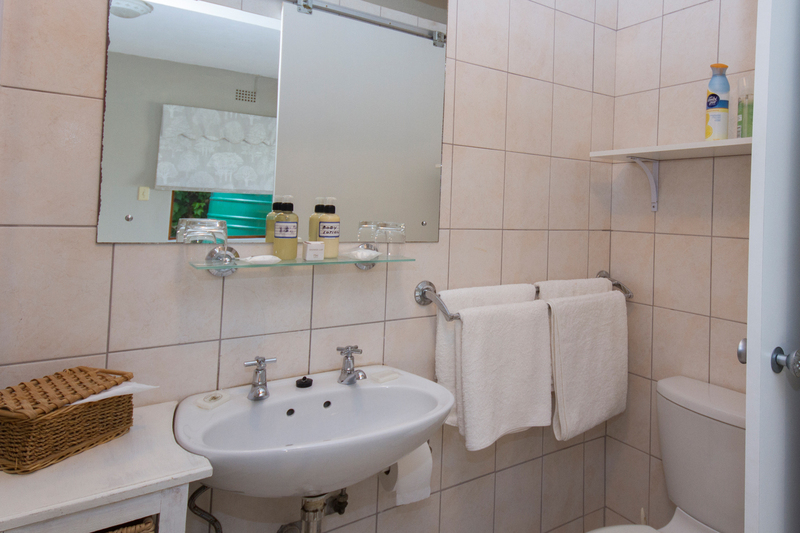 Please note that it is a non-smoking apartment.